I was staying at a beachfront hotel in Zanzibar, Tanzania when I saw the first images of the unrest in Syria on TV. I watched footage of Syrians in the southern city of Deraa brazenly burning the pictures of President Bashar al-Assad that once lined every street, store, restaurant, and home. I was glued to the news, watching the turmoil unravel. 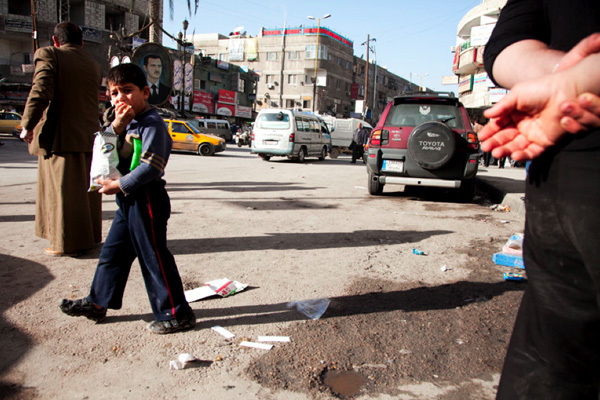 There was something deeply disturbing about suddenly seeing everything I’d experienced on my visit to Syria just three months prior begin to crumble. 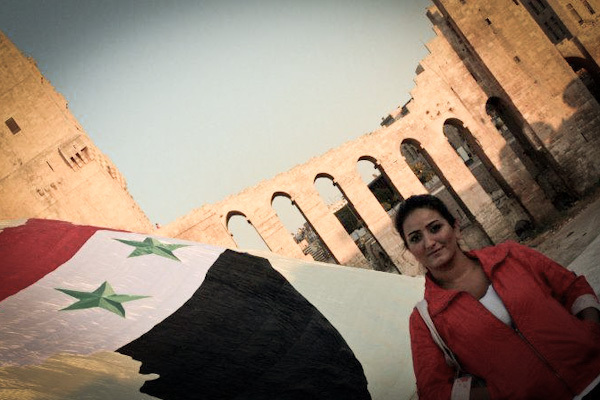 My tumultuous relationship with Syria had begun while I was still in the US preparing for my nine month trip around the world. A week before I was set to leave, I realized that my passport had not yet been returned to me with my Syrian visa stamped in it. I contacted the Syrian consulate in Los Angeles. With panic settling in, I resorted to my Middle Eastern negotiating skills, refusing to accept ‘no’ for an answer. Seemingly miraculously, my passport was located and mailed back to me just in time for my trip. Months prior, my parents had staged an intervention with me in hopes of deterring my plans to travel to the Middle East, especially Syria. My father warned me of the unstable government and the various political parties and religious sects vying for power in the country. My mom got on the phone with a Syrian consoler official and asked him if he thought it was safe for her daughter to travel to Syria on her own. Though I felt somewhat fearful and uneasy, ultimately my desire to experience the Middle East convinced me to ignore the warnings and proceed with my trip. 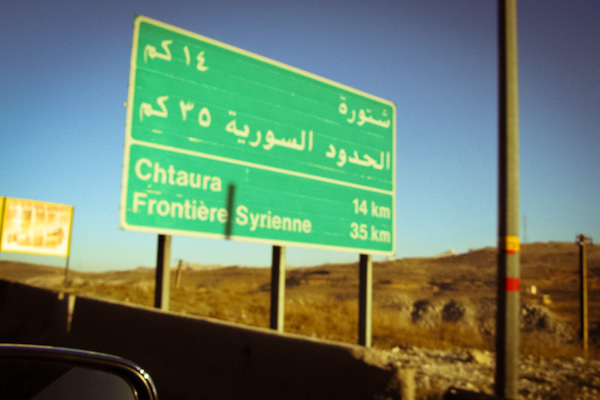 After arriving in Beirut, I hopped on a Mercedes minivan with eight Syrian construction workers, endured a 2 hour nervous wait at the border crossing, and finally arrived in Damascus. My first few hours in Damascus were some of the most magical moments of my life. 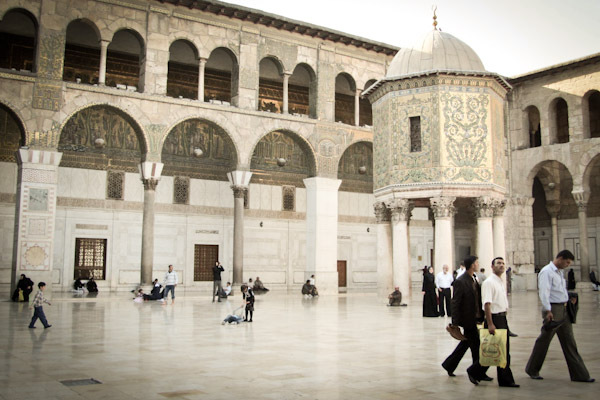 As I maneuvered my way through the narrow, old cobblestone streets to find my hostel, I saw small cafes on the sidewalks full of people, vendors on the street corners selling traditional Syrian delicacies. The smell of sweet cinnamon bread, apple tobacco and floral jasmine filled the air. I heard the sounds of the evening azan (the Muslim call to prayer) echoing from the surrounding mosques while Arabic-pop music blared from the opposite side. There was nothing that felt artificial, no hidden agendas — just people interested in other people. But it didn’t take long for the dark truth behind the magic and charm of Syria to hit me. 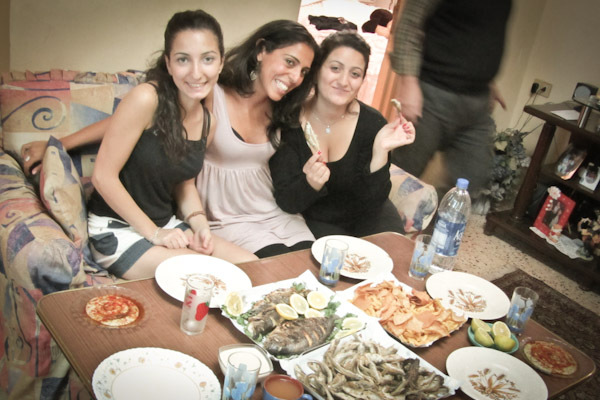 I went out with some other travelers who I had met in Beirut and their Syrian friends. 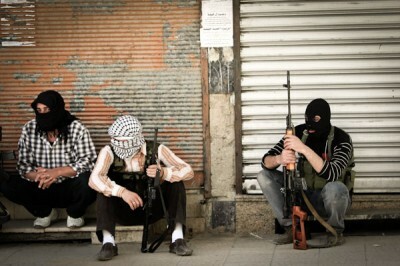 We were sitting in an outdoor café sipping our tea when I naively inquired about the political climate in Syria. A look of distress appeared on their faces. My friends swiftly changed the subject. After I left the café with my Bulgarian friend who was living in Damascus, I asked her about the reaction. She warned me to never talk about politics in public again, or even in private for that matter. She slyly pointed out various people surrounding us who she said were likely part of the Assad regime’s secret service: the man sitting alone at an outdoor restaurant, the waiters and store clerks, even taxi cab drivers. Her advice: don’t trust anyone – the consequences are too serious. As my days in Syria went on, the level of government control and scrutiny became more and more obvious. To obtain a SIM card for my cell phone, I had to give fingerprints and provide endless amounts of personal information. To travel from one city to another, I had to register with a government official who recorded my passport number and itinerary. To check in to a hotel room or hostel, I had to provide my visa details so a log could be submitted to the government. To check my email I had to use a proxy address to get around a government ban of western websites. As an American, it was the first time in my life I had experienced that degree of censorship. I felt trapped, scared, and helpless. Despite the warnings, I boldly decided to use the Couchsurfing network, an online global community that connects travelers with locals, to stay with a family in the northern city of Aleppo. Couchsurfing, both the site and the activity, is banned by the government because it interferes with officials’ ability to monitor the whereabouts of tourists in the country through hotel registries. I was fortunate enough to be hosted by an Armenian family with two young college-aged girls. As I grew close with the girls over the course of two weeks staying with them, they began to open up to me. After the Armenian genocide, their family had dispersed throughout the Middle East and sought refuge in various Arab countries. Their parents had both escaped Beirut during the Lebanese civil war in order to provide their daughters a better life, and moved to an Armenian immigrant enclave community in the outskirts of Aleppo. The family had already been approached by government agents with a warning that hosting foreigners could result in arrest and imprisonment. The girls resisted, arguing that the activity was harmless and that they refused to be cut off from the rest of the world. When they told me the story I asked one of the girls why they would take such a huge risk. I thought about how brave and courageous she was to defy the rules. Following her queue, I suppressed my hesitations about the government restriction and signed up for a trip to the ancient desert ruins of Palmyra organized through couchsurfing. The night before our departure, I was pulled aside by a middle-aged Syrian man who owned much of the Aleppo market and was well connected to the interworkings of the country. The warning was frightening enough, but it was confused even more by my Iranian and Jewish ancestry. I wasn’t sure what political complications those identities held in Syria. Feeling vulnerable and unsure who to trust, I cancelled my trip the night before I was set to leave. The magical aspects of the country had been clouded by my angst and paranoia. Was I being watched? My instincts told me to leave immediately. Within a day, I bought a plane ticket and after some serious questioning by officials in the Aleppo airport, I breathed a sigh of relief as I left Syrian soil safe and sound. Three months later, sitting in my hotel room in Zanzibar, I saw all that was bubbling under the surface during my visit come to a head. I realized my intuitions were right. The efforts of Assad’s minority Alawite sect to squash any sign of opposition turned from surveillance and intimidation to detentions and massacres. 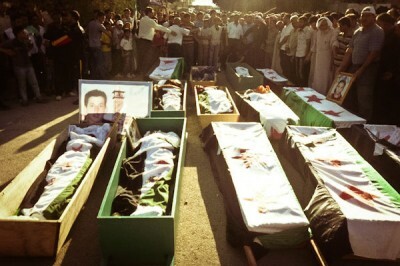 Each reported death at the hands of the Assad government (which currently estimates put at 14,100) felt personal to me. I tried to distance myself from the news of Syria but my connection to the country and its people would not allow me to ignore it. So I listened, waited, and hoped for Assad to give in. It’s now been 15 months since the protests and violent backlash began, but there is still no end in sight. Through the months I’ve wondered about the family I stayed with in Aleppo. Are they safe? Has the unrest changed their lives? But I worried about reaching out to them, afraid that in my longing to make sure they were okay I might inadvertently jeopardize their safety. Finally, while writing this piece, I decided to reach out to them seeking their permission to publish their story. Roxana Norouzi has worked with immigrant and refugee populations in the Seattle area for the past 10 years. Currently, she provides strategic guidance around education policy and implementation for OneAmerica, Washington State’s largest immigrant right’s organization. 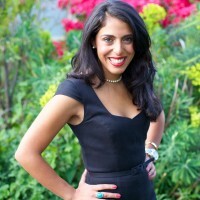 In 2010, Roxana was awarded the University of Washington’s Bonderman Fellowship which allowed her to travel to the Middle East, India, Southeast Asia, East Africa, West Africa and South America.